Stewart Leisure Parks new Scarbrooke Park development in St Andrews is located in one of Scotland’s most sought after areas. The new Luxury Lodge Resort will include five star leisure facilities alongside an on-site restaurant and bar plus clubhouse with sauna, spa, gym and beauty salon. There will also be on-site supermarket for residents use and a dedicated, experienced in house team, handling all rental and booking enquiries for owners, together with a full changeover service. “We really want to maximise this beautiful setting so that those staying on the park will have a whole host of activities at their disposal, from walking and cycling to nature spotting and angling. St Andrews is a leading destination with top class golf and shopping available as well as a vibrant foodie scene offering a wide choice of restaurants, deli’s, farm shops and independent distilleries await,” added Bill Stewart. Stewart Leisure Parks employs its own on-site maintenance team at all parks, which enjoy a full twelve-month season. The parks are characterised by a craftsman finish throughout with landscaping, quality stone steps and a driveway large enough for two cars. 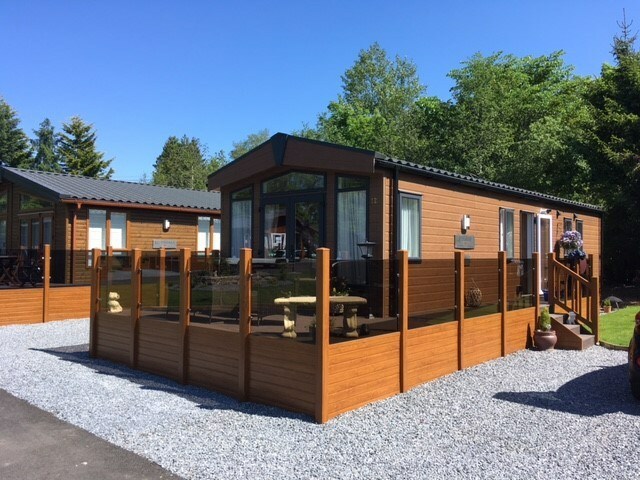 Many lodges, which are all supplied fully furnished and decorated are complete with decking, so occupants can start enjoying outside space straightaway. The initial phase of 87 industry leading luxury lodges at Scarbrooke Park has prices starting from just £99,000. Buyers can currently reserve a lodge for just a 1% deposit.